[0:54] <tfgbd_> I'm going to try Windows 10 tonight. [0:58] <mehmories> On your pi? [0:59] <puff> larsks: Hi again. [1:00] <tfgbd_> Windows 10 ARM is now available. [1:00] <tfgbd_> Also, it can only use one CPU core for now. [1:01] <tfgbd_> I just need to compile network drivers. [1:01] <tfgbd_> There is one. [1:01] <puff> I'm trying to set up a pi zero that somebody gave me, but I suspect it's only a zero, not a zero W. It didn't come up on the network, so I plugged it into a monitor & cable, and "ifconfig -a" only shows lo, no wlan0. [1:01] <puff> And the GUI wireless manager says "No wireless interfaces found"
[1:02] <tfgbd_> I was surprised too. [1:02] <tfgbd_> I'm going to try Pro for now. [1:02] <puff> Is there any definitive way to check? [1:02] <tfgbd_> Do they look identical? [1:03] <mehmories> That's incredible I need to get back in the loop. [1:04] <puff> tfgbd_: Good deal. [1:04] <puff> mehmories: Thanks. Where on the PCB, and what color? [1:08] <puff> mehmories: Thanks. Damn that's subtle. Fortunately I have my own pi zero that I know has working wireless, for comparison. This other one does not hve the triangle. [1:08] <puff> How much/hard/much hassle/expensive is it to get this pi zero on a network? [1:09] <mfa298> puff: there's a bunch of other components that are on the ZeroW and not on the Zero (the shiney wifi chip is a good one to look for) but it's easier to tell if you already have something to compare with. [1:09] <puff> Looking more clsoely on the back, it says "Pi Zero V 1.3 2015"
[1:12] <puff> Okay, so considering the cost of a zero w, probably just easiest to order a zero w.
[1:13] <mehmories> @puff, what's your plan for it? [1:14] <puff> mehmories: Connecting it to an rfid reader for access control. [1:15] <puff> mehmories: It needs connectivity to update the RFID code access list, so I guess I need an adapter or another pi zero w.
[1:15] <puff> Speaking of connectivity, is there a lightweight message queue suitable for rpi? [1:16] <puff> Hm, looks like rabbitmq on pi is not unknown. [1:34] <puff> Anybody mucked with mqtt? [10:57] <junka> do i need to solder the gpio pins in a pi zero? [11:00] * shiftplusone wonders why soldering is such a deal breaker for so many people. [11:10] <gordonDrogon> do learn to solder though. it's a skill that'll be with you for life. [11:12] <junka> what about a gpio ribbon cable? [11:12] <junka> Habbie; so they just click and attach? [11:23] <Habbie> junka, need what? [11:24] <Habbie> junka, depends on what you want to do! [11:26] <Habbie> Alexander-47u, i bet many people in here could finish such a project, but what part is troubling you? [11:27] <Habbie> what part of it? the soldering? finding the right holes on the pi? [11:27] <gordonDrogon> Alexander-47u, that water flow sensor needs 5v. It will not work directly with a Pi. [11:27] <Alexander-47u> gordonDrogon, how will I get it to work then? [11:28] <gordonDrogon> a simple resistor divider may work. [11:29] <junka> Habbie; if i can buy a pi with headers, should i choose that instead? [11:29] <gordonDrogon> and test it on a solderless breadboard first. [11:29] <gordonDrogon> junka, if you can't solder them absolutely. [11:30] <gordonDrogon> and a solderless breadboard and some jumper wires. [11:30] <gordonDrogon> I know little about media. [11:31] <gordonDrogon> I just plug a Pi via HDMI into my TV - sound and video come out. [11:31] <gordonDrogon> no gpio involved. [11:31] <junka> zero does not have the rca socket either right? [11:32] <gordonDrogon> zero is fine for simple media playing. Kodi - or whatever it was called back then worked on the original Pi 1 - although the menus were a bit clunky. [11:45] <junka> does pi3 do PoE by default? [11:45] <gordonDrogon> junka, the 3+ has provision to be powered via PoE. [11:46] <gordonDrogon> however for the 3+ you need to buy and additional HAT to make PoE work. [11:50] <BCMM> BurtyB: ooh, when did that happen? [11:55] <BCMM> Alexander-47u: did you ask a question before i joined, or is that a question in its own right? [11:57] <Alexander-47u> so what does it mean exactly :P? [11:57] <BCMM> Alexander-47u: the diagram? [11:57] <BCMM> Alexander-47u: are you familiar with the concept of "GPIO"? [11:58] <Alexander-47u> also, should i connect the middle of the data wire, to the 3v3 GPIO? [11:59] <Alexander-47u> and also another very noob question, are both sides of a resistor the same xD? [12:00] <Alexander-47u> great, it would fit in my heat shrink tube. [12:00] <Alexander-47u> but, do I solder the middle of the yellow wire, to the 3v3 gpio? [12:01] <gordonDrogon> Alexander-47u, hello? Are you there? [12:02] <gordonDrogon> and what 2 resistors are you using in the potential divider to get the 5v to 3.3v? [12:02] <gordonDrogon> and the other? [12:03] <BCMM> Alexander-47u: "one 1/4 watt and one 3 watt" is two different 10k resistors you're choosing between right? [12:03] <gordonDrogon> the sensor you linked to dit not indicate that it has an open collector output. [12:04] <gordonDrogon> if you use that circuit and the sensor does not have an OC output then you run the risk of drying not only the Pi but the sensor too. [12:05] <gordonDrogon> Alexander-47u, the sensor used in that forum post is not the sensor you linked to earlier. [12:18] <Alexander-47u> did I miss anything xD? [12:18] <gordonDrogon> Alexander-47u, the sensor used in that forum post is not the sensor you linked to earlier. [12:29] <gordonDrogon> you can justify your decision all you like - show forum posts, etc. that doesn't mean they're right, just that people are getting away with it. It also means you're not learning the correct way to do stuff - I only hope you don't get a job doing this for real. [12:33] <junka> so the zero has no rca socket, i know can solder one but if am going to use the mini hdmi, should i get a hdmi to rca cable or a converter? [12:34] <gordonDrogon> junka, it has compositve video in the 3.5mm jack socket. [12:34] <gordonDrogon> you just need to right adapter cable. no need to solder anything. [12:34] <gordonDrogon> assuming you actually need composite video and can't use hdmi or hdmi to vga adapter. [12:36] <gordonDrogon> ah, sorry - didn't read the zero thing. [12:40] <Alexander-47u> im just going to do this project, then probably not anytime soon again. [12:42] <mfa298> Alexander-47u: why not plug the pi hdmi into a hdmi or dvi screen/tv saves all the pain of adpators that might not work. [12:43] <Alexander-47u> mfa298, wrong person lol. the way I do it is SSH, no need for a gui. [12:45] <Alexander-47u> junka, what do you need to do? [12:57] <Alexander-47u> however, when the video starts to play, it plays fine. [13:00] <gordonDrogon> have to disagree there - I use Pi zeros for plenty of GUI stuff. [13:00] <gordonDrogon> you jsut need to write efficient GUI code - in my case, I write it all in BASIC. [13:01] <gordonDrogon> not in the slightest. [13:01] <gordonDrogon> and I write efficient code. [13:02] <gordonDrogon> then they should stop being weenies and using every toolkit under the sun and write efficient code. [13:04] <gordonDrogon> we have a stupid amount of computing resource at our fingertips these days - we're just not using it anywhere near efficiently. [13:05] <Alexander-47u> junka, is it a zero w or a zero? [13:07] <gordonDrogon> maybe we just expect too much. [13:08] <BCMM> Alexander-47u: doesn't the 3b+ have built-in 5GHz? [13:09] <Alexander-47u> the new one that came out the other day? [13:09] <Alexander-47u> is that so? [13:15] <junka> does the power supply work with any ac power supply? like that of my phone? [13:20] <BillD73> just to interject some phone chargers of 2.0A will work in a pinch, performance seems slower on my Pi 1B and 1 B+ as soon as i changed them out for 5V 2.5A Canakit powersupplies they got much better. [13:27] <gordonDrogon> and the 3+ is more demanding. 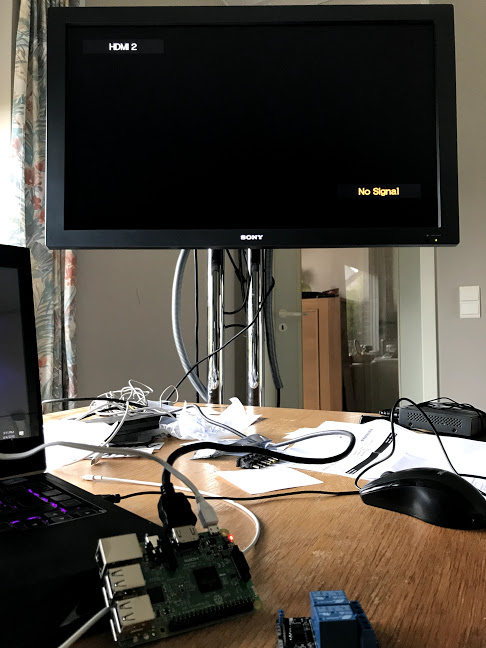 [14:41] <millican> Has there been a change in the Pi3 that resulted in it not being able to boot Raspbian Jessie? [14:50] <gordonDrogon> millican, the updated 3+ was released a few weeks ago now. [14:53] <millican> I think that's the one I just got in the mail yesterday. [14:54] <millican> I tried multiple SD cards, then just shut down a running pi3, took the card out, and no boot. [14:54] <millican> raspbian stretch boots in it though. [14:55] <mfa298> millican: the 3B+ needs newer firmware than I think you can easily get in Jessie. [14:56] <millican> mfa298: I started using Stretch, but went to Jessie for mysql over mariadb that's in stretch. [14:57] <millican> It looks like it would be easier for me to just add the mysql repos for that and stick with stretch in teh new onw. [14:57] <millican> I filled a 100Gb card with Mariadb vs using 29Gb importing the same db with mysql. [14:58] <argoneus> sorry if this is a noob question, but I'm trying to understand the difference between an analog and digital sensor, so far what i got: if i have an analog sensor, I e.g. put 5V into it, and on the output it will emit 0-5V, depending on the value; whereas if I have digital, the output is always either e.g. 0V or 5V, and it uses a sequence on on/off signals using some protocol to say "the value is X" <- is this any accurate or am i dumb? [14:59] <argoneus> ah, so all an Analog -> Digital converter does is take the input voltage from the sensor, and converts it into a "digital" message using whatever protocol the convertor is using? [15:01] <argoneus> so e.g. 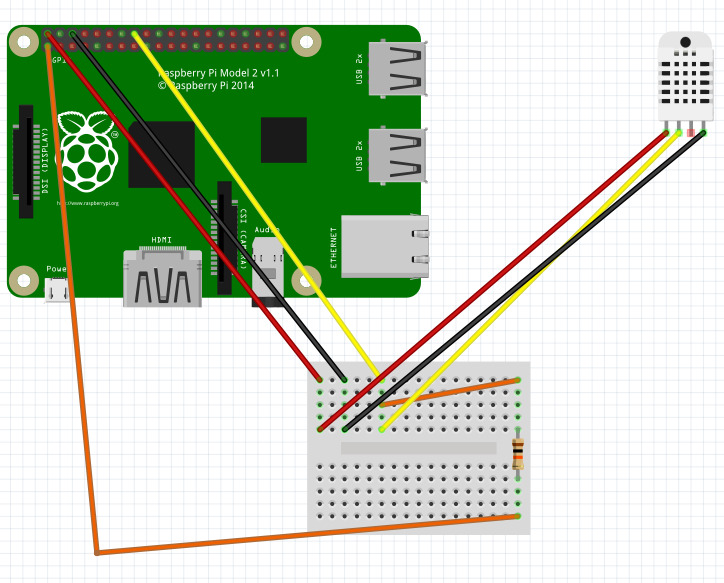 if I want to measure light with my raspi, I make a circuit like 3Vcc -> photoresistor -> ADC -> GPIO pin? [15:05] <argoneus> are those the "PWM" pins? [15:07] <argoneus> but BCMM confused me by saying "it feels ???" [15:07] <red9> What is the sensor resistance range? [15:14] <red9> I have used a 0-300 pF capacitive sensor + 20 Mohm resistor in series successfully with the Pi. [15:15] <red9> The threeshold voltages and leak current is what matters. [15:15] <red9> You want the time constant ~100 times slower than the time to measure. [15:17] <argoneus> is the ADC solution somehow bad? [15:18] <red9> As 'waveform' says. [15:20] <millican> IamTrying: Have you tried connecting it via ethernet port to the router to see if it's connecting? [15:20] <millican> You'd have to check the router status for connected devices. [15:21] <red9> So if the lowest resistive value is 5 kohm, the sampling speed is 5000 000 samples/s on the Pi then you need a capacitor with 6 nF. [15:25] <red9> If you have x 1-bit samples taken per second. And want to get a result with 100 levels. Then the time to fully recharge the capacitor must be time_per_sample * 100. [15:26] <red9> The time is dependent on t=RC. But time is when capacitor is filled to 63%. So thus the time needs to be extended with this to get to 99%. [15:28] <red9> So now that you can get the time taken for the worst case then it's just a matter of 2 knowns and 1 unknown. [15:32] <argoneus> will the GPIO receive 3.3V or 5V? [15:32] <r3> read the links, really, there is all sorts of information in there. [15:34] <Alexander-47u> r3, how to make it tolerant? [15:34] <gordonDrogon> r3, it seems no-one cares these days. just stick a resistor on it and hope for the best. [15:34] <Alexander-47u> btw, are the gpio layout on all raspberry pi's the same? [15:34] <Alexander-47u> gordonDrogon, are you talking about me xD? [15:46] <argoneus> I've gone through the links above but they seem to be mostly "just get this thing and wire it up like this and it will just work"
[15:49] <r3> ok, those are only the photoresistors, not the breakout which would give you a handy voltage to work with. [15:50] <argoneus> oh, so you can't use that with an ADC? [15:50] <red9> argoneus, Set the resistive sensor in a resistor divider. Then measure voltage output. [15:50] <r3> and since it says right in the name what they are: photo *resistors* they are going to alter their *resistance* depending upon how much light they get. [15:51] <argoneus> why can't you just measure the current? [15:51] <r3> argoneus: that's why I wanted you to start with the tutorials. Maybe even pick up an Arduino to experiment with. Sparkfun has a *TON* of information for people trying to get started, but you have to commit to learning. [15:52] <r3> argoneus: because it's not the way those single components work. That's why. You could hook up a multimeter to one and it would show you how much resistance it has, but it's not as useful as voltage which could then be fed to a ADC. [15:52] <millican> IamTrying: There are vendors of pre-configured SD cards. You can take any microSD and dd a downloaded image to it too. [15:53] <IamTrying> millican: 8GB or 64GB i need? [15:54] <IamTrying> I will buy one 16GB SD Card i must need this: http://wiringpi.com/. would 16GB enouhg? [15:55] <r3> argoneus: so you have a working solution here. The ambient light sensor breakout, and the ADC breakout, both from sparkfun will enable you to measure light and then receive that as digital data, which can then be further programmatically manipulated. It's the simplest solution. [15:57] <millican> The Arduino runs code that gets downloaded to it. The Pi runs an operating system similar to your computer. [15:58] <Alexander-47u> 'with pull-up 4k6', does he mean 4.6k resistor? [15:58] <millican> IamTrying: I run mine headless as well. using ethernet helps get that going. [15:58] <IamTrying> millican: Oh no next scare part. how do i tell the SD card what is its IP? do i first need GUI or terminal interface? [15:58] <millican> I typically run "sudo ifconfig wlan0 down" on boot. [15:59] <millican> you can do that the same way you would in linux. 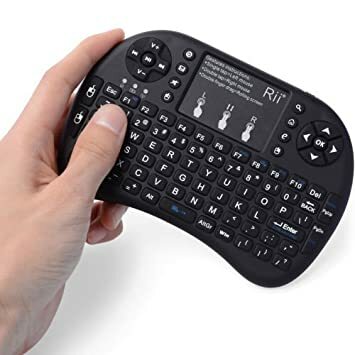 [16:00] <millican> once you get it initially set up, you can let it connect automatically by wifi when it boots. [16:00] <Alexander-47u> how terrible of an idea is it to do it like this guys post? [16:01] <Alexander-47u> by connecting output to GPIO directly (with pull-up 4k6 to 3V3). [16:02] <IamTrying> https://www.sossolutions.nl/3259-8gb-microsd-card-with-noobs-2-0?gclid=EAIaIQobChMIt7SIo-Sg2gIVxLUYCh08FADcEAQYAyABEgILHPD_BwE - millican this should have all right? [16:03] <Alexander-47u> oke, il just try it with a breadboard, but its raining crazy hard atm and I have to go out and buy one. [16:04] <Alexander-47u> r3, can I also use a 5k or 10k resistor instead and have the same effects? [16:04] <r3> argoneus: sorry, the only ADC breakout I can find is this one, https://www.adafruit.com/product/1085 - I can't seem to find the one I had in mind. For that price I might just get an Arduino (RedBoard from Sparkfun) and do the project that way. [16:12] <r3> so, hook it up to I2C (with the usualy difficulties, suggestions, tutorials), install the library, and you're done. You then would have the ability to use Python to log data. Couldn't be simpler. [16:43] <JimBuntu> tdn, what do you think of the RT-MWK02+ ? [16:44] <BCMM> tdn: wait, was it the mini one or the light up colourful one you hated? [16:44] <tdn> JimBuntu, that looks better. But the design aesthetics are poor. Much better on the rapoo ones. [16:46] <BCMM> tdn: but when you say htpc, is it basically just for kodi? [16:51] <tdn> BCMM, how to detect them on pi? I will need an IR sensor? [16:52] <tdn> BCMM, which one? [16:52] <tdn> What to look for? [16:58] <DeadKaptain> anyone in #raspberrypi know of a cheaper pi build kit along the lines of a Kano? [17:01] <gordonDrogon> DeadKaptain, many kits from Pimoroni. [17:02] <GeekOfflineNL> 8years old and already trying to get him coding? [17:05] <rycuda> Fine IT_Sean you win. [17:05] <rycuda> I assume you've already seen stuff like scratch DeadKaptain? [17:08] <rycuda> It's not a terrible plan if he's already got a keyboard, mouse and monitor available. [17:23] <Owner> something needed in config.txt? [17:27] <r3> be specific, Owner. Working how? How is it hooked up? What are you using to talk to it? What isn't working? What does 'dmesg' tell you? What else have you tried? Not a mind reader. [17:32] <r3> BurtyB: yow, I wouldn't have guessed that - I imagine you've run into that issue? [17:46] <DeadKaptain> sorry - work... where was i? [18:41] <SkyWay> a tutorial on how to get ipv6 on my raspberry ? [18:44] <SkyWay> let me paste the output ..
[18:46] <SkyWay> other device in my lan has ipv6 adress..
[18:56] <SkyWay> this part ? [18:57] <mfa298> yes, so the fe80 is a local address (only on that network segment) and the 2a02 address is a global address. [18:57] <mfa298> interestingly your pi doesn't appear to have an fe80 either which would suggest ipv6 has been disabled for some reason, which isn't the default in raspbian. [18:58] <mfa298> Ipv6 has just worked for me on raspbian for years. [18:58] <mfa298> ifconfig should have some "inet6 lines"
[19:04] <SkyWay> i saw somewhere something with editing there, and insmod..
[19:05] <mfa298> ipv6 should be loaded, I was wondering if you had some different config with all the extra modules loaded. [19:08] <mfa298> hmmm, I wonder if the pi-hole setup does something to disable IPv6, that might be somewhere to investigate. [19:10] <SkyWay> i'm trying a new method now ..
[19:13] <SkyWay> thanks for your time by the way! [20:18] <SkyWay> yellow wire and orange wire ..
[20:20] <Alexander-47u> The yellow wire should be connected to the gpio. The pull-up should in effect be on the wire pulling the output/gpio up to 3V3 through the 10K resistor. In effect connect either the gpio or the output pin to 3V3 through a 10K resistor. [20:26] <DexDeadly> Hey guys, so I had a quick question. I am working on a controller and i setup uwsgi to launch my app on startup. The issue though is it is saying my one module does not exist. [20:28] <DexDeadly> why does launching using uwgsi not look at that? [20:57] <TooLmaN> DexDeadly: I use flask, nginx and uswgi as well. [20:57] <DexDeadly> so i gotta setup the nginx file for it? [21:02] <TooLmaN> This is on an Ubu server that my RPIs talk to. [21:03] <DexDeadly> yea I got a pi that I am turning into an aquarium controller. [21:06] <DexDeadly> that lines out of the uwgsi.log file that is created via that link I showed you. [21:08] <TooLmaN> If you 'sudo pip install' it will install in the global site-packages. Not always recommended but it should solve this issue. I would recommend always using a virtualenv. [21:30] <ericus> any workarounds to boot other images than Raspbian on the RPI3B+? [22:03] <ericus> Is there no sensors on the RPI? [22:03] <darsie> There are GPIOs. [22:09] <Tenkawa> why do you think you cant? [22:11] <Tenkawa> ericus: did Kali work with a 3? [23:08] <CoJaBo> but can it do h.265?